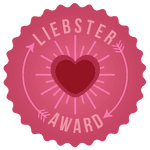 So here I am with a new and exciting post which is about THE LIEBSTER AWARD. I am so happy to share about this with you all because I am nominated for this award by my friend "Blogs By Amna" & "Her Beauty Affair". 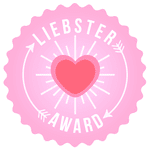 Mention the blog link of the blogger who nominated you in your Leibster award blog post and thank him/her. 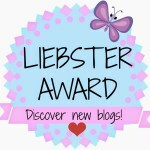 Nominate 10-11 other bloggers & let them know that you have nominated them. Give them random questions to answer. Q.1) From where you Belong? Q.2) Which is the primary category of your Blog? Q.3) Have you ever been to India? Q.4) How old are you? Q.5) Which makeup product is a must have for you? Q.6) Which is your preference? YouTube or Blogging? Q.7) Which is your choice? Heels or shoes? Q.8) From how long you are blogging? Q.10) Which is your first choice? Skincare products or Makeup Stuff? As I was nominated by two bloggers, I'll answer both of their questions. Delhi Born. Stays in Haryana, India. What are you’re most important- must have 4 beauty products? What beauty product do you use every day of your life? 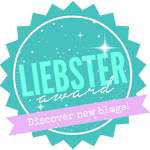 Who is your inspiration in blogging world? What piece of advice would you like to give to your fellow bloggers? Don't focus on the length of blog post. If your post is inspiring, words count will not matter. How can we help each other in blogging community to create a healthy bloggers’ society? What tips would you like to give to your fellow bloggers regarding blog promotion? Which is your favorite cosmetics brand? What is your greatest tip for flawless skin? What are your final goals related to your blog? In your opinion, what investments are necessary to make in order to run a successful and high traffic blog? Where do you reside ? Are you spontaneous planner or someone who takes time to plan something? Eyebrows or lipstick? Which one would you choose if you are in a rush! ideal weekend for you is..? No diet and eat what you want. Enjoying comedy shows. what would like to change about yourself ? I think a lot. Want to change this about myself. Perfect shoes or Perfect jewelry ? If genie granted you 3 wishes , what would you wish for ? Make me rich so that I can fulfill all the dreams of my family. Keep us all healthy & Fit. Hey, thank you for nominating me! Here's my post!